Rosa ‘Guinee’ which has a wonderful scent. Aren’t there a lot of different shades of red! Previous post: I can sing a rainbow! Next post: One of my visions! 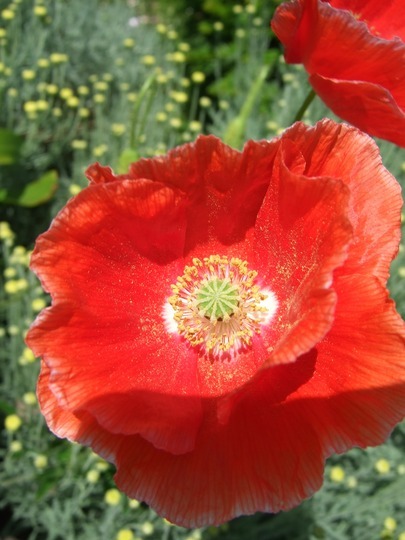 The sunlight on the poppy makes such a lovely photo. 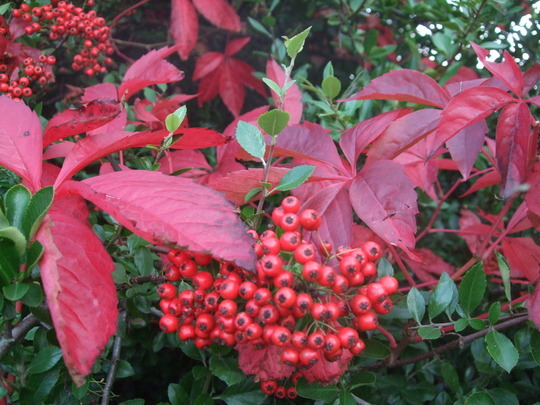 We need 'Red' at this time of year to brighten up the greyness! Thanks for doing this! A great selection Spritz. 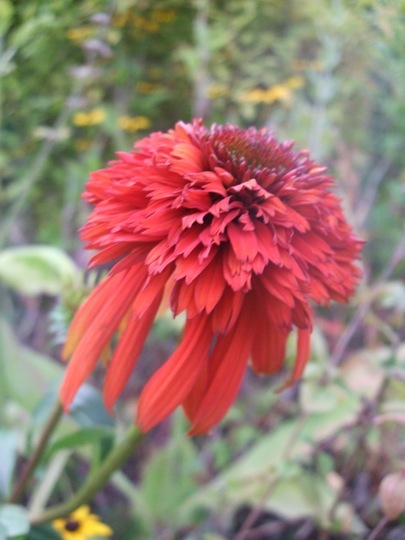 I don't usually care for Echinaceas but that one's a beauty. 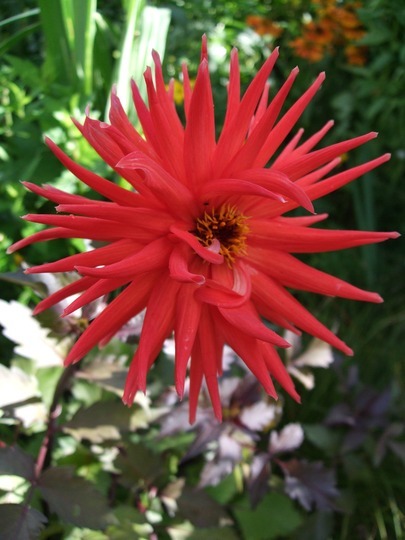 The dahlia looks as if its about to start waving its tentacles like a sea anemone doesn't it?! All very cheering on an incredibly windy day. 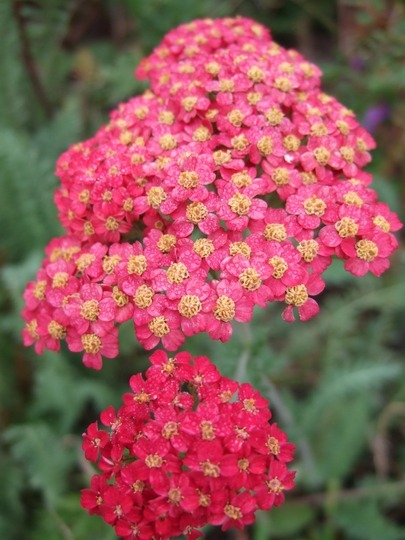 I love a splash of red in the garden. Took some images once of our azaleas in the snow. Nice contrast. You have a lovely variety of plants there, Spritz. Ha, I agree, there are several different shades of Red. I planted Red Riding Hood Tulips this Fall. Nice for me to look through my photos and pick some - shall I carry on with the 'O'? All very cheerful and warming. 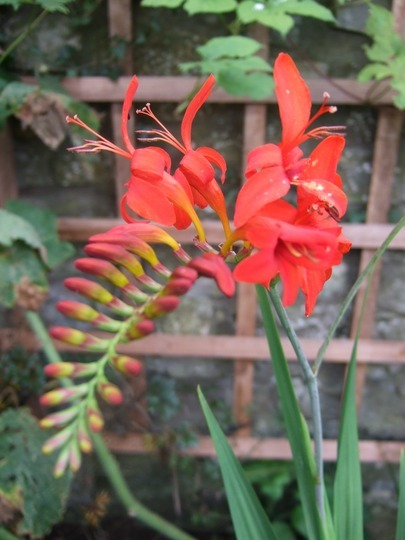 Isn't that Crocosmia 'Lucifer' pretty. There are lots of them growing wild on the ditches here but orange in colour as the wild type I suspect. 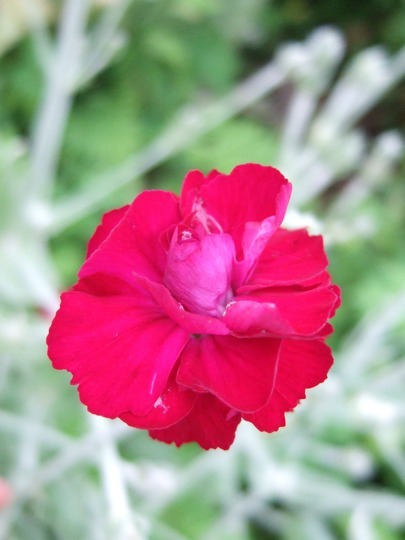 My mission in the Spring is to get some of the red and other colours and create some variety. don't know how I missed this but as usual a stunner of a blog with matching pictures. 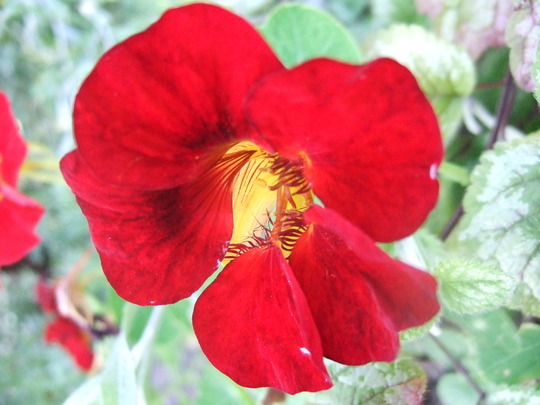 Lovely to see so many red flowers! Like others I find it amazing the number of different shades of "red" going from almost orange to almost black! 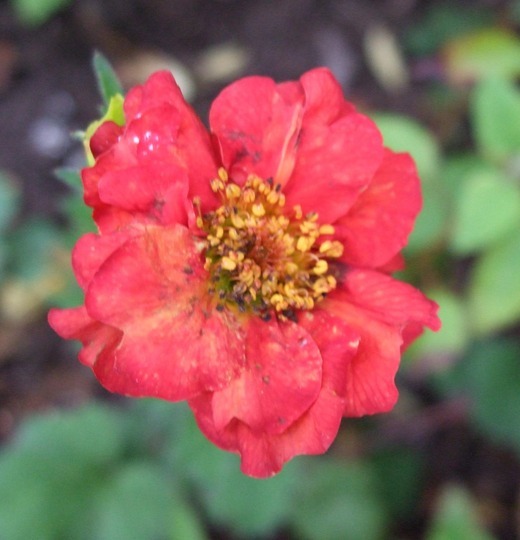 Roses & Dahlias are among two species of plant that immediately spring to mind that have so many shades of red! 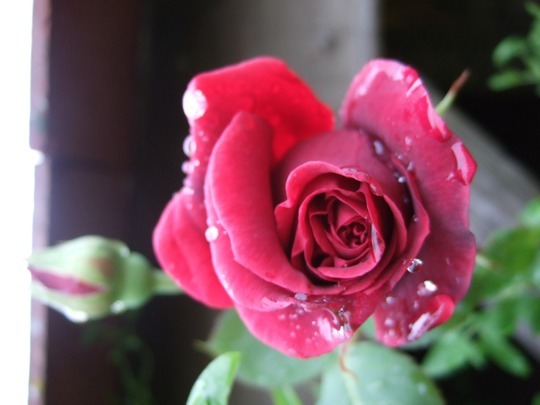 They do indeed, Balcony - my darkest red rose is 'Guinee' as above - and I have various scarlet ones, too.